An ongoing attempt to bring Montessori ideas into the home of three children of different planes of development, following success and frustration! 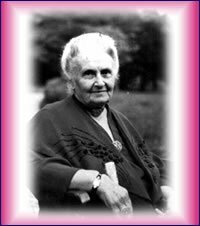 This blog has come about by my continual strive to include many elements of Maria Montessori's thoughts and teachings in our everyday lives. I have three children who cover toddler, primary and elementary and two planes of development 0 - 6 and 6 - 12, but, obviously, we all live in the same environment, so I need to take this into account too. This is not a school, the children attend an AMI accredited Montessori school, so I am not trying to mirror image what they get at school, merely adapt the everyday things and their play area into something that is practical and reflects their development. Many of the entries will probably be photos rather than writings. I was putting some of this stuff on my other blog, but have decided to start a new one dedicated to this. It is a work in progress and I will be happy to share my ideas and welcome new ones. Books to read - not all these are Montessori, but reflect the "Follow the Child" principles. Fairy Tales - yes or no? ?